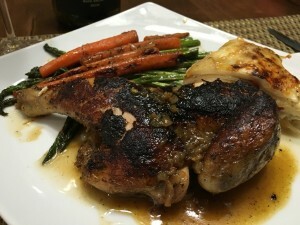 I don’t know why people only serve Cornish hens on special occassions. 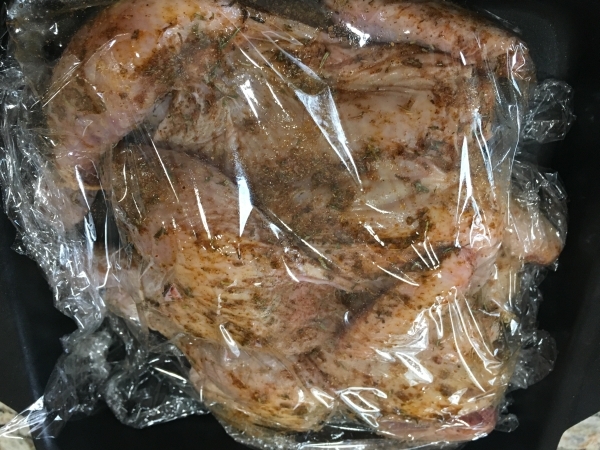 A cornish hen typically commands a higher price per pound than chickens, despite a shorter growing span of 28 to 30 days, as opposed to 42 or more for regular chicken. But although rumored to be expensive in comparison, I’ve found them locally for about two or three dollars each. 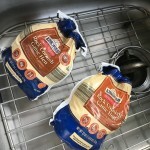 They consist of tender, light meat and are conveniently sized for single servings. 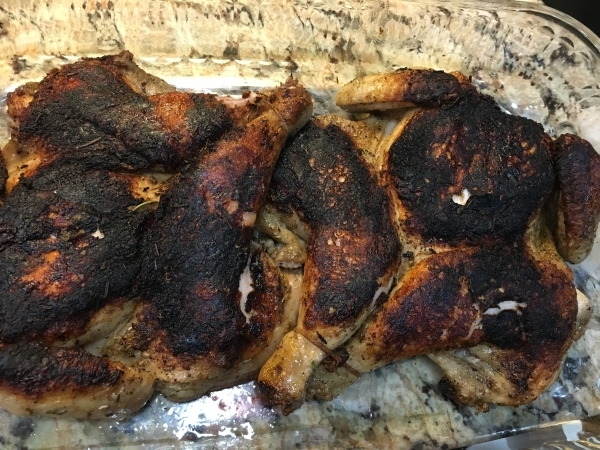 The novelty of a tiny chicken seems to be the biggest appeal to these miniature birds that resemble miniature roasting chickens, which is basically what they are. 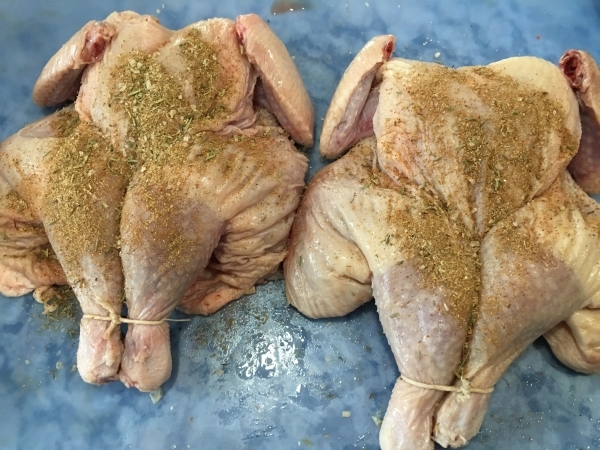 According to the U.S. Department of Agriculture, Cornish hens are simply a particular breed young, immature chickens weighing between 1 to 2 lbs. 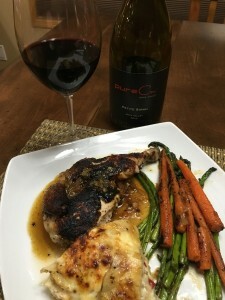 In the United States, a Cornish game hen, also sometimes called a Cornish hen, poussin, Rock Cornish hen, or simply Rock Cornish, is a hybrid chicken sold whole in grocery stores. Though the bird is called a “hen”, it can be either male or female. 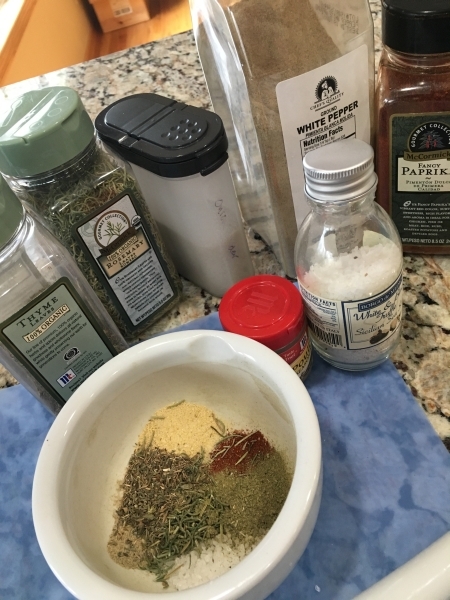 The most notable trait is the tenderness of their meat, and the way it can accommodate marinades or quickly absorb the flavors of a spice rub. 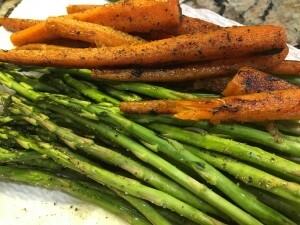 I’ve been wanting to prepare a couple of them that have been rolling around my freezer and recently prepared this easy and tastey version. Roasted Cornish hens are great stuffed, of course, but for quicker cooking, butterfly them. 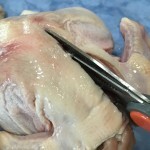 Butterflying simply means removing the backbone so the hen can be opened up like a book and laid flat. 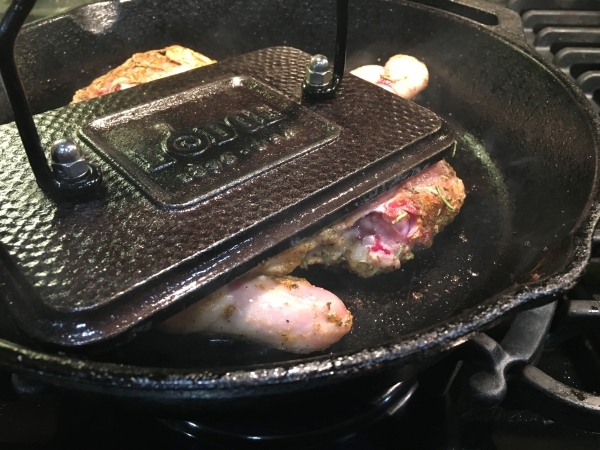 The greater surface area exposed when the birds are flat allows them to cook faster. Wash and pat dry the hen. 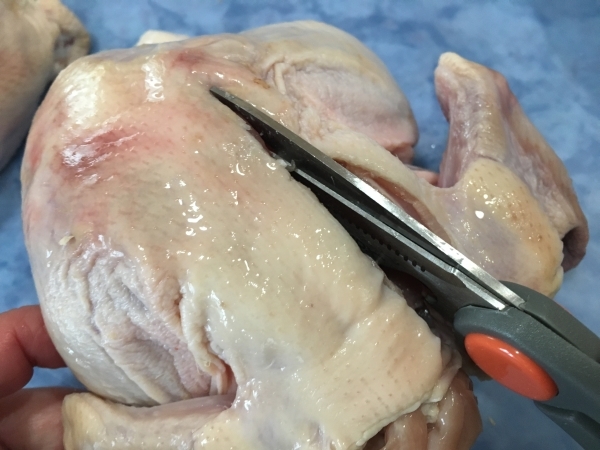 To butterfly a Cornish hen, place it back side up on a cutting board and cut closely along one side of the backbone using a poultry shears. Repeat on the other side; discard backbone. 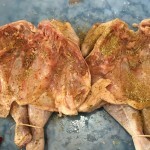 Turn breast side up and remove the wing tips. 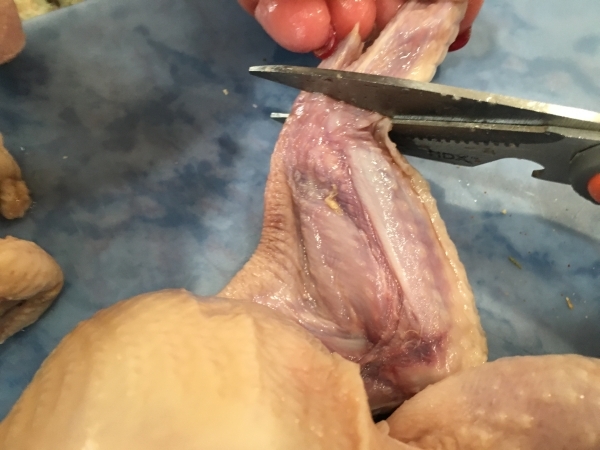 Open the bird so the drumsticks point out. 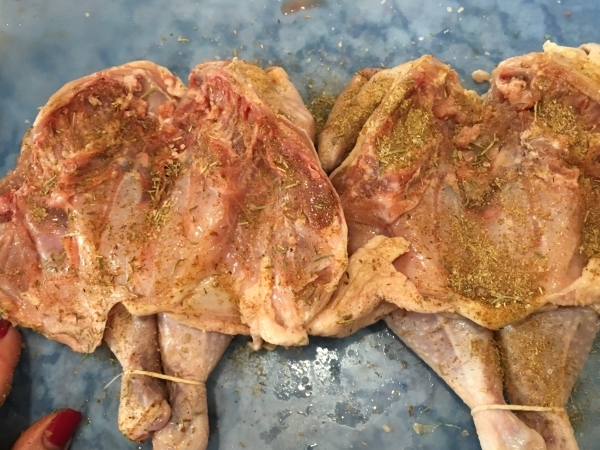 Press the breastbone firmly to flatten and tie the legs together with cooking string. Place herbs into a mortar or a blender and muddle until finely chopped or ground. 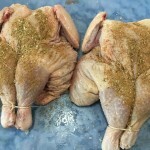 Rub birds with olive oil and season generously with the herbs. sprinkle with additional salt. 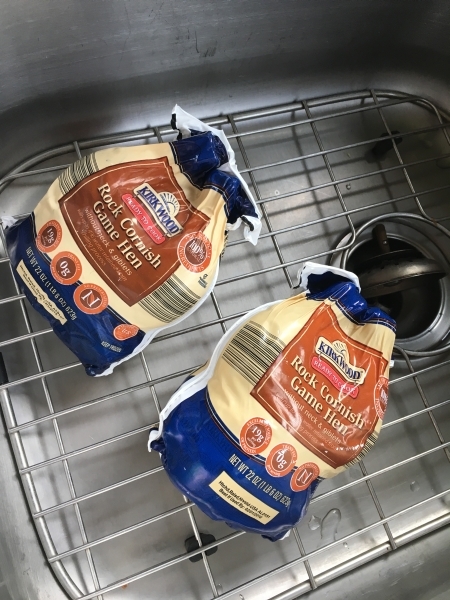 Place the birds in a dish and cover with plastic wrap. Refrigerate for at least two hours or overnight if you have thee time. 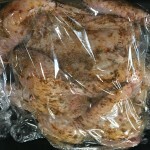 Before cooking, remove the hens from refrigerator and bring to room temperature for about an hour. Preheat oven to 400 degrees. 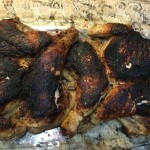 I prefer a crisp skin so I seared them on both sices in a piping hot pan. 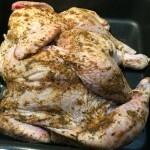 Then place them into a baking dish before roasting in the oven until cooked through, about 30 minutes. 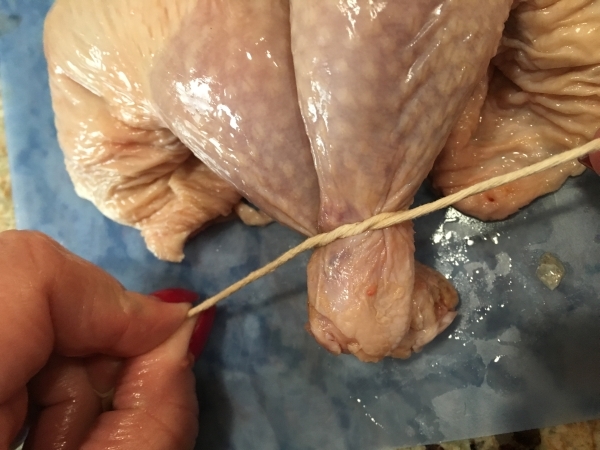 The meat thermometer should read 165 degrees when placed in the thigh. 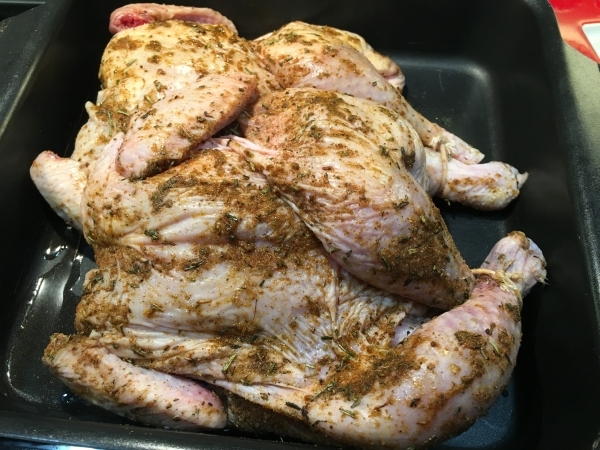 Remove from oven and let stand at least 10 to 15 minutes before serving. 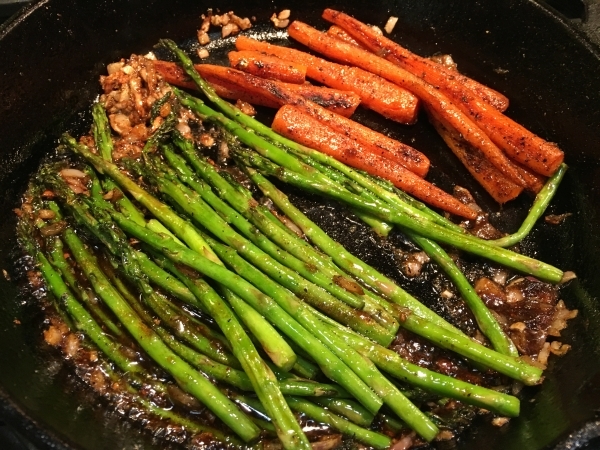 For a side dish, I roasted some baby carrots until solft to serve along with asparagus. 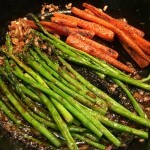 Coat peeled carrots lightly with olive oil and seson with salt and pepper. Bake in the hot oven turning until browned and softened slightly. Remove and set aside. 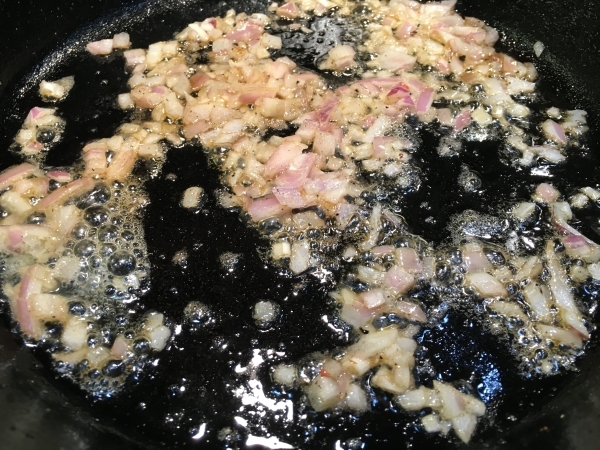 Using the same skillet as the chicken, cook chopped shallot until they become translucent and slightly caramelized. Add in the asparagus and carrots and cook on high for about two to four minutes and the greens become tender. 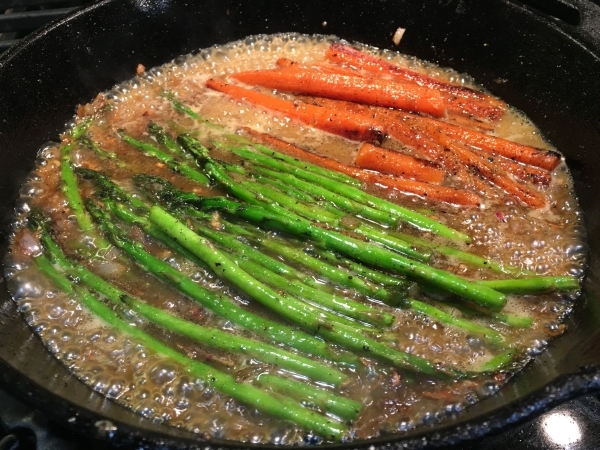 Stir in about 1/2 cup of white wine, stirring gently to loosen pan bits. 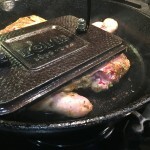 Cook over high heat until sauce is formed and wine is almost reduced. 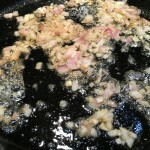 Add about a tablespoon of butter and stir until melted. We enjoyed this meal with an au gratin potato dish, and paired with a wonderful 2010 Petite Syrah made by Mitch Cosentino at PureCru.